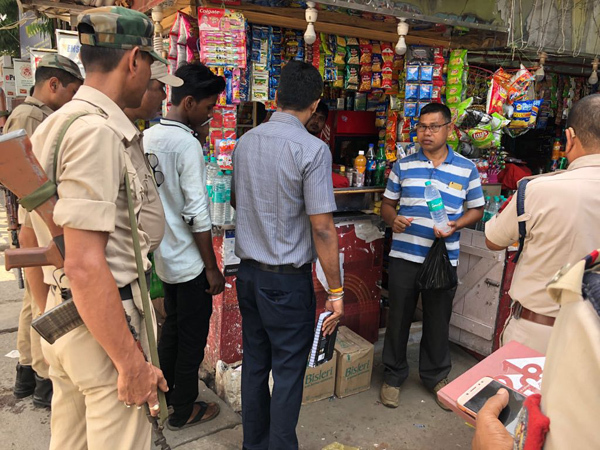 Tinsukia police on Wednesday launched a two-day drive against those violating Cigarette and other Tobacco Products Act (COTPA) 2003.The police in its two day-drive on August 20-21, 2018 fined the violators and challaned them. The drive was launched on the orders of Tinsukia Superintendent of Police (SP) Shri Mugdhajyoti Dev Mahanta. Police personnel of police stations (Tinsukia, Makum, Margherita, Digboi, Doomdoma) in Tinsukia district were imparted training by the district SP Shri Mahanta with technical support by Sambandh Health Foundation (SHF) and Tata Trusts. The training was to inform them about the various sections of COTPA and prepare them for the drive.